Okay, this isn't a "new design". I actually made this last Christmas, but never had time to write a post about it during the holidays. The original idea was to create a kind of "shadow box" and add a nativity silhouette in the center, but on a whim I suspended a pretty ornament in the center, instead. Basically, this is a star made from rolled vintage book pages. I used an old pen to roll the pages all the same size, then secured each little roll with a smidgen of tacky glue. Next, I made a pattern for a five-pointed star, using this method. Then, a back was cut from scrap cardboard, and covered with book pages. The first course of paper tubes was glued to the edges of the back piece. This is how the back looks, from behind. The second course was layered on. To stabilize the courses, I added short pieces of rolled pages and rested each consecutive course atop the two pieces. It probably wasn't totally necessary to do it this way, but it made the star stronger, and kept the courses even. I just trimmed to the correct length as I went along. After about six or seven layers, I added a flat cardboard layer and covered it with vintage book pages. Then, I added the last several layers, creating a shadow box. This star would look great leaning on a mantel, topping a tree, or used horizontally as part of a holiday centerpiece. I think mine will go on the mantel at the beach house. ....or go here to see how to make a dimensional five-pointed star in any size! 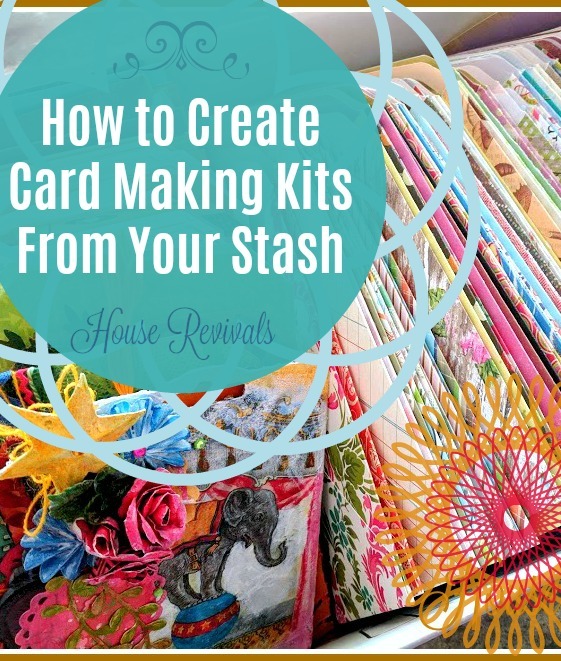 You might also like this post about creating card making kits. You might also like this post on how to use up and upcycle old notecards. oooooh! very cool ... what a brilliant idea! thanks so much for sharing this Amanda! I love this!! It looks so cool. This is so cool! How big is it? I am going to have to make one of these I am thinking! I just love this! I was looking for a star to hang above my "A king is born" bunting I made...I think this will do just nicely..Thank you so much for sharing! This is really quite stunning, I can't believe you just came up with the idea. Wow so cool! Here's hoping you'll share your project over at Sunday' Best. Sharing is a good thing. Now following you. Gorgeous and clever! I think even the backing with the rolled paper edges is pretty by itself. This is a beautiful and ingenious project, you smart woman. Love it! This is so beautiful! I'm pinning it! I'm wondering how I would make it so it would perch on the top of the tree. I bet it could be made with the shadow box on both sides, but it might become too heavy to be on top of the tree. What do you think? This is adorable! Thanks for the tutorial! This is really stylish. I absolutely love it. Would be AMAZING if you would link this up to my new Christmas Link party on now. Would be great to see you there with this project and any other ones you want to show off. I love this! It would be great to leave out year-round! This.is.gorgeous.--I want to try this and put in my little booth at the antique mall--love it! This is just over the top stunning! I am in complete awe of it and it immediately caught my eye over at TGC linky. Seriously...love this! Your star wreath is amazing. What a fabulous idea to roll the pages and build the star that way. It looks very vintage and festive! p.s. Thanks for linking up to Deck The Halls Sunday! I really enjoy this design...and the great tutorial! Thanks very much. This is so great!! I love this idea! Your star looks fabulous! I hope you come on by and link up to my new Holiday Party!! That is Ahhh-Amazing! Very creative! your newest fan! omg, what an amazing star, I love, love, love it! Stopping by from Deck The Halls Sunday! so unique and I love anything with newspaper! I saw your star on another blog and just had to come and see how it was made. Absolutely love the look of this project! If I can ever get organized, my bedroom is going to be decorated in a country crafts meets Texas sort of style and this star would look perfect among the painted tin ones I've been collecting. I would love to include House Revivals on my site, please come visit and check it out. I made five of these this week! Giving as gifts and posting about it tomorrow. Thank you for sharing.